The Tech Institute is pleased to announce the appointment of Richard Whitt as a non-resident Senior Fellow beginning June 2018. Richard, a 1988 graduate of Georgetown Law, brings over two decades of in-house legal experience working at companies such as Google and Motorola. As a Senior Fellow, Richard hopes to develop frameworks to govern the creation and deployment of emerging technology platforms. In particular, he plans to research ways to ensure that emerging technologies, like Artificial Intelligence and the Internet of Things, are being deployed ethically and accountably. 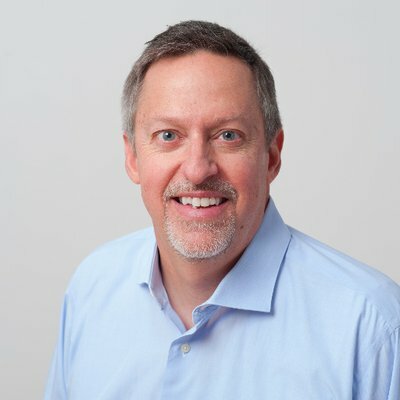 “I’m excited to work with folks at the Tech Institute to explore how we can put in place effective safeguards to promote and protect the public interest in next-generation technologies, both through laws and regulations, but also through codes of conduct and best practices,” said Richard. Richard will also contribute to an ongoing collaboration between Internet-founder Vint Cerf and the Tech Institute regarding digital preservation. Prior to this fellowship, Richard led Strategic Initiatives at Google. During his time at Google, Richard managed projects related to net neutrality, spectrum reform, and other media and telecom issues. He also worked with Vint Cerf on “digital heritage” to ensure that content is accessible over the long term, regardless of its software or hardware format. Before Google, Richard worked as an in-house attorney at telecom company MCI, coordinating the firm’s public policy advocacy. He also spent two years as the global head of public policy for Motorola. Richard recently started his own technology consulting firm, NetsEdge, providing counsel to companies looking to make technology more accountable to users without relying on regulatory solutions. He has also begun a senior fellowship with the Mozilla Foundation, exploring the concept of an “open Internet,” what “openness” means, and the trade-offs of more or less regulation of the Internet. You can reach Richard via the Institute at TechInstitute@law.georgetown.edu.